Many nouns simply add an "S" to change the word from singular to plural. 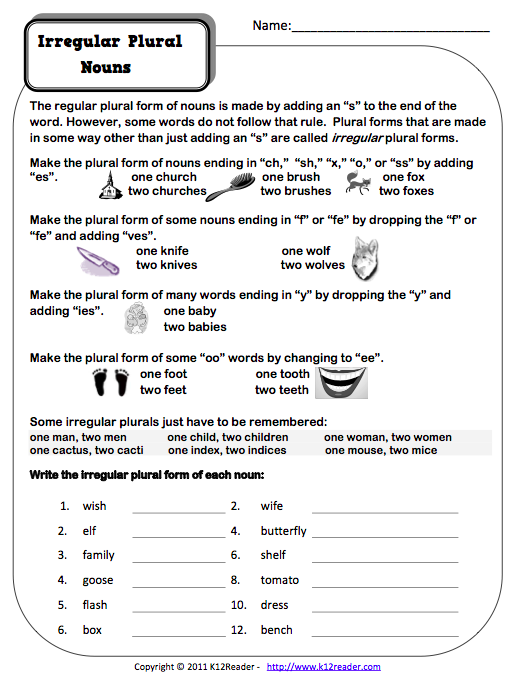 Other nouns will be irregular when changing from singular to plural. This means that they break the normal rule and change in a unique way. 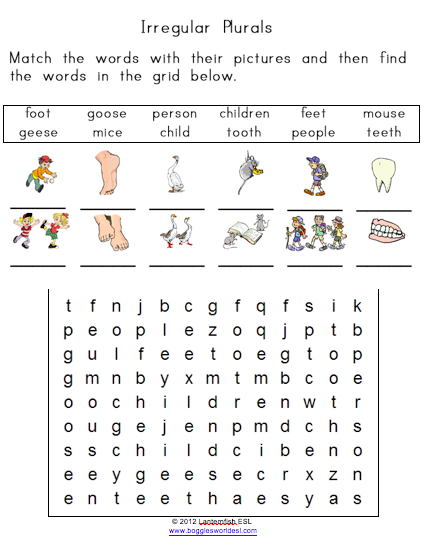 The following examples provide the key nouns that we are asked to learning based on the 4th grade Common Core Standards.